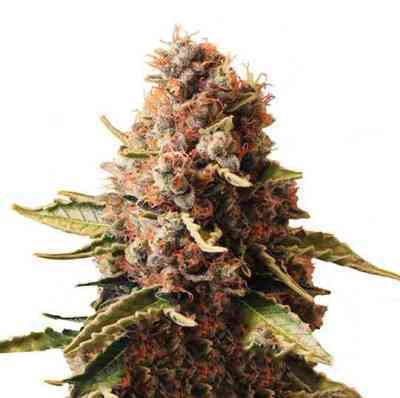 Purple Orange CBD cannabis seeds by Dinafem Seeds belong to a feminized Sativa-dominant cannabis strain that result from a California Orange Diesel backcross. We feel fortunate to have had the chance to work with this exclusive, unique Californian clone that oozes quality from every pore. Among the exceptional traits found in the DNA of this top-notch strain, we cannot fail to mention its delicious and complex taste, or its amazing therapeutic potential. Those users looking for a strain with high cannabidiol (CBD) content as well as with especially tasty flavours and aromas will hit it right when selecting Purple Orange CBD. Analyses carried out in our laboratory reveal a 1:2 THC/CBD ratio (5% / 10%), which is great news for us all who support the theory that CBD has many medicinal properties capable of reducing anxiety or muscle tension, among many others. Should you decide to grow Purple Orange CBD seeds, you will be so lucky as to witness the marvellously alluring purplish hues that cover the entire plant at the end of the blooming stage. 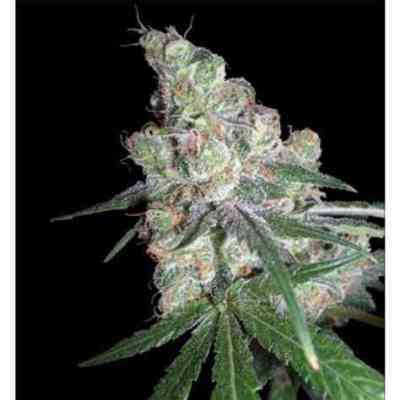 It grows vigorously, and produces plenty of branches laden with dense, smelly buds that release a complex citric scent. Seldom will we find someone who can resist the temptation to discover what it is like to enjoy an intensely fruity strain whose effect is gentle enough so as not to interfere with daily life; and even more difficult to find someone who does not want to repeat the experience. Purple Orange CBD is a marijuana plant noted for its deep scent with notes of orange, chocolate and lemon. The moderate effect it provides is slightly euphoria-producing and uplifting. In a nutshell, fruity flavour and moderate effect, ideal to unwind peacefully or to keep on with your daily routine.